Enjoy dry, rugged, warm comfort from your work boot all day long, no matter where you work, with the Bogs Roper. 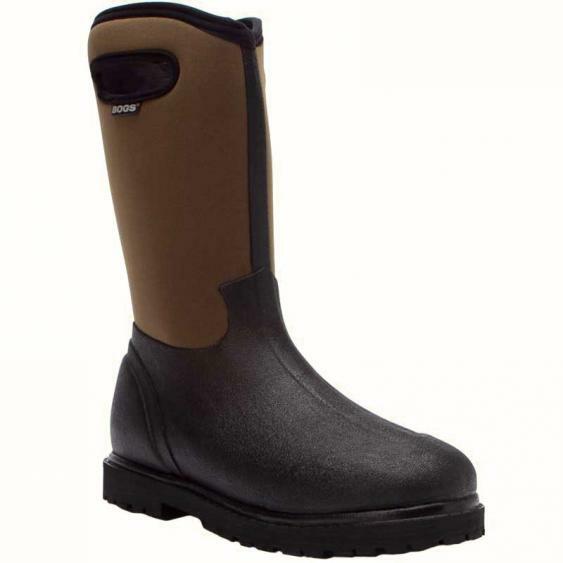 This men's pull-on boot features 100% waterproof uppers, made of rubber and a 4-way stretch shaft that is able to conform to any shape of leg. The cushioned and contoured insole features Aegis anti-microbial treatment to protect against odor and bacterial growth. The Thermic Fit insulation earns this boot a comfort rating down to -40°F, so you can keep on trucking no matter what Mother Nature throws at you. The rubber outsole is non marking yet provides excellent traction on slick, wintry surfaces. Made tough for rugged work, the Bogs Roper offers great performance and protection when the jobsite gets wet and cold.